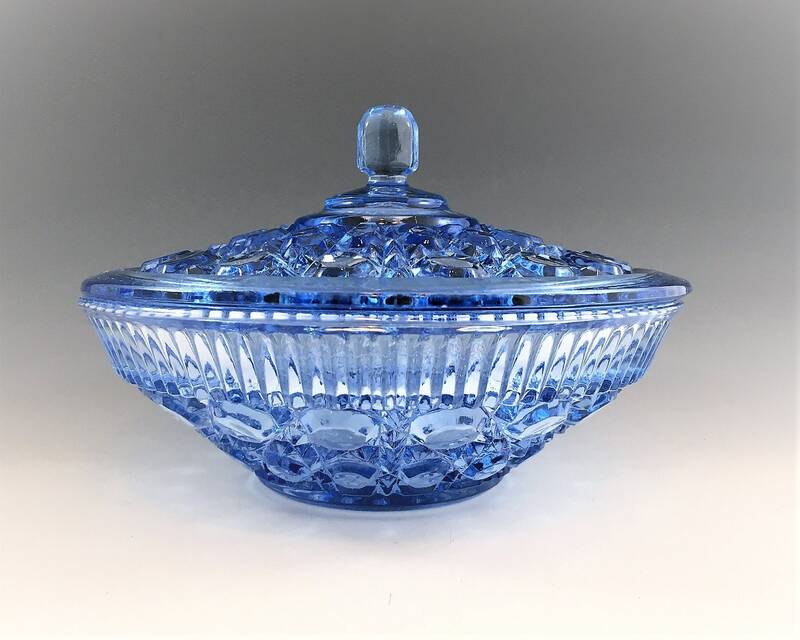 Featured is a beautiful blue glass candy dish from Indiana Glass. 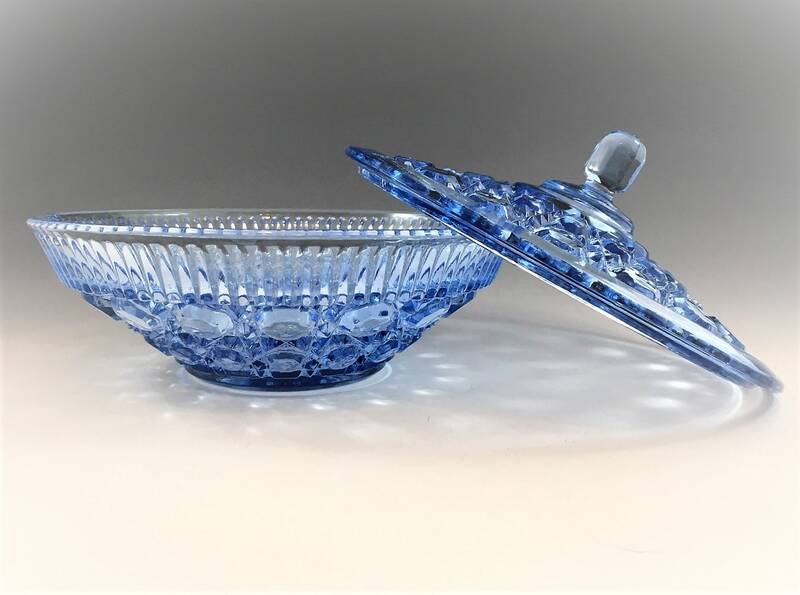 This piece is from their Windsor Pattern. 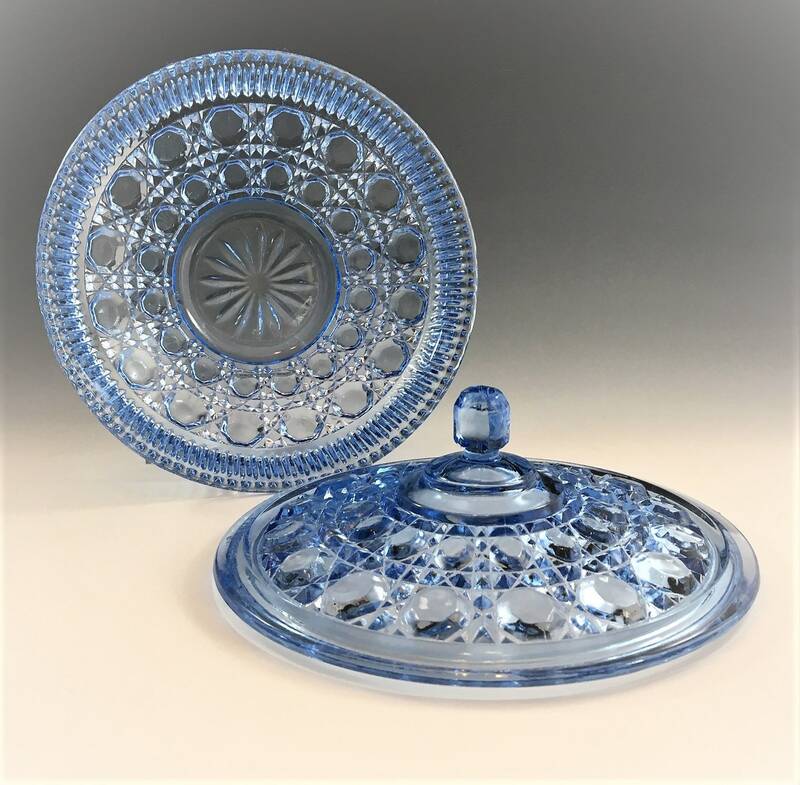 Indiana acquired the molds from Federal Glass when Federal closed their doors in the 1970's. Indiana issued this piece in a variety of colors form the late 1970's through the 1990's. 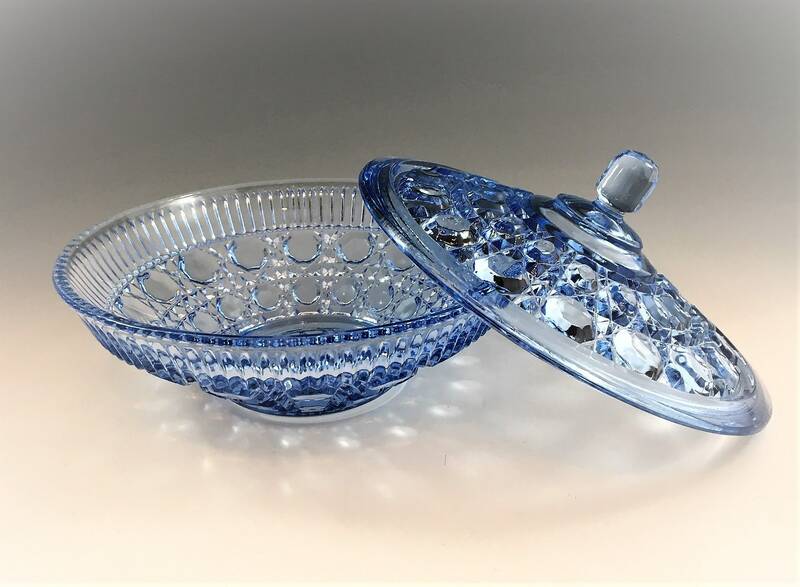 This blue dish is in excellent condition free from any chips or cracks. It measures about 7 1/2 inches in diameter and is about 5 inches tall.